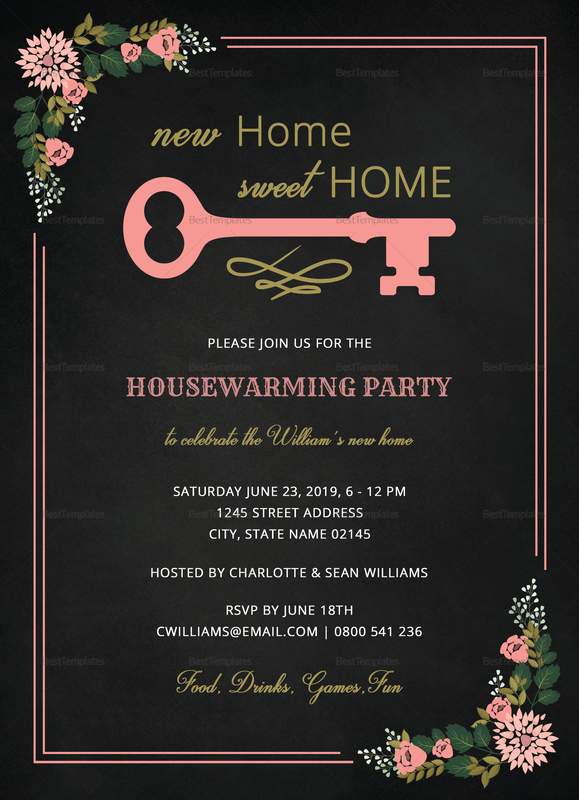 If you’re looking for a nice way to inform your friends and family for your upcoming housewarming party, get this charming and creative chalkboard housewarming invitation template. 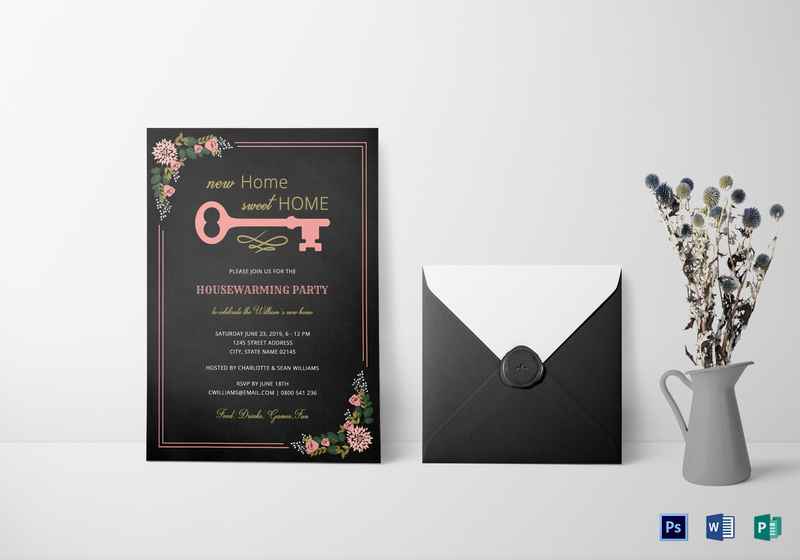 Easy to edit and fully customizable with all versions of Photoshop, MS Word, and Publisher. Includes quality graphics, layout, and artwork that you can modify however you like.